Public and private schools, universities, and all aspects of the education system have an ever-growing need for efficient ways to manage the paperwork and files of millions of students and faculty in the education sector across the United States. 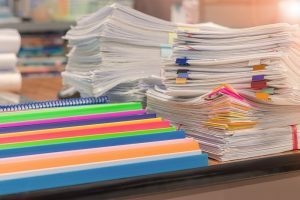 Document scanning and digital document management are the best ways to improve processes that have a lot of paperwork to deal with on a regular basis. Digital documents save time, space, and improve processes, which is something that can help any educational institution. They provide an easy-to-use system that can be shared with students, professors, teachers, and other institutions quickly and easily. Investing in a document conversion plan today will save you a significant amount of money in the long-run. Record Nations has local contractors that specialize in document scanning and digital document management for universities and educational systems throughout the United States. 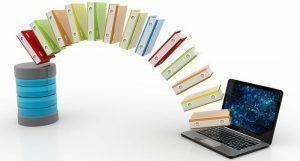 Not only can we provide day-forward scanning to allow you to go paperless moving forward, but we also offer digital or offsite archival and storage services to make sure you adhere to FERPA and have all the documents for when you need access to documents for an audit. Accounting, Purchasing, AP/AR Documents, and more! From cloud storage solutions to day-forward and backfile scanning, we can connect you with local providers to help you convert your documents to digital format quickly. Are you ready to get started? Fill out the form to the right, or give us a call at (866) 385-3706. The ease and accessibility of digital documents make converting to a paperless document management system well worth the price of admission. A paperless system eliminates the need to have a functional in-house paper management system on top of giving you the ability to optimize your document flow for everything from admissions to archives. FERPA (the Family Educational Rights and Privacy Act) states that any school cannot disclose information about a student’s grades or behavior to anyone without the consent of the student, after that student has turned 18 years old from any educational institution (whether public or private) that receives federal funds from the Department of Education. Digital documents can be encrypted, password-protected, and easily identified to eliminate the risk of a FERPA violation. Sending electronic documents by e-mail rather than fax ensures confidential, password-protected delivery to a private inbox rather than a public fax machine. You can also redact any necessary information for scanned documents prior to scanning, storing, or sending. Maintaining and regularly accessing hard-copy files for any department can be taxing on resources and office space. 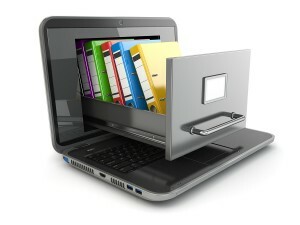 Digital documents eliminate dozens of file cabinets instantly, and you can find the information that used to be stored in filing cabinets in seconds with a quick keyword search. Electronic documents also eliminate the accidental misplaced or duplicate file which can become a critical mistake when it comes to financial aid and admissions. You can fit a whole room of filing cabinets on a cloud storage system. Having a backup plan for any document management system is essential to ensure that you don’t lose critical information. Use Record Nations to find a system that integrates with your existing management systems and computers. Critical documents, records, and other proprietary information are instantly saved and stored offsite on a secure server, allowing you to access it immediately if necessary. Educational firms can increase the security of documents with encryption authentication, redaction, and the ability to track, access and changes to documents. Digital documents provide an affordable, easy way to share and access documents remotely. Electronic documents are easy to share with parents, administrators, and students, and If you get requests for paper documents, they can easily be converted to PDF format or an editable text document. Let Record Nations help streamline your processes through effective document management. We’ll connect you to a local provider that can scan any document or file, and provide you with an easy-to-manage system that allows you to find any student’s records or additional paperwork quickly and easily. Virtually any document management service offers OCR conversion along with conversion to PDF which makes editing, updating, managing, and distributing any file affordable and hassle-free.